The Running Man is set in a dystopian United States during the year 2025, in which the nation's economy is in ruins and world violence is rising. 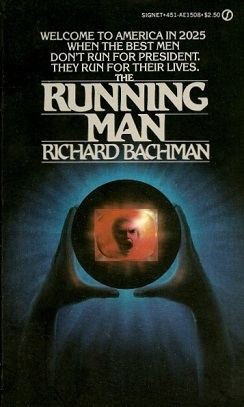 The story follows protagonist Ben Richards as he participates in the game show The Running Man in which contestants, allowed to go anywhere in the world, are chased by "Hunters" employed to kill them. At one point in his journey (around when he breaks the survival record), Richards makes his way to an airport in Derry.